Photographs Courtesy Yixian International Photography Festival. Pictured left to right in group picture: Fang Huanran, Deputy President of China Photo Press; Guo Jing, Host of Yixian International Photo Festival Opening Ceremony; Hu Ning, Vice chariman of the Political Consultative Conference of Huangshan City; Reza De Hadi, a French photographic artist; and Fang Huanran, Vice President of China Photographic Newspaper. Special thanks to Chris Kovacs who connected with my work as part of Critical Mass Top 50, he has featured my work in the November / December 2018 issue of Mono Chroma magazine, a wonderful fine art photography resource. I was first introduced to Chris’s work at Classic Photographs LA in 2018 at the Susan Spiritus booth. Also featured: Daniel Garay Arango, Jane Szabo, Brett Leigh Dicks, Keith Ramsdell, Tara Cronin, and Ellen Keith. R. J. Kern’s “The Unchosen Ones” shows a domesticated nature, one that humans and animals symbiotically share. It consists of 31 large color photographs taken at Minnesota county fairs. In front of a dark-gray background, Kern poses young people with a farm animal or two that he or she had entered into livestock competitions at the fairs. The animals are sheep or goats. None of the contestants won, hence the title: They weren’t chosen. 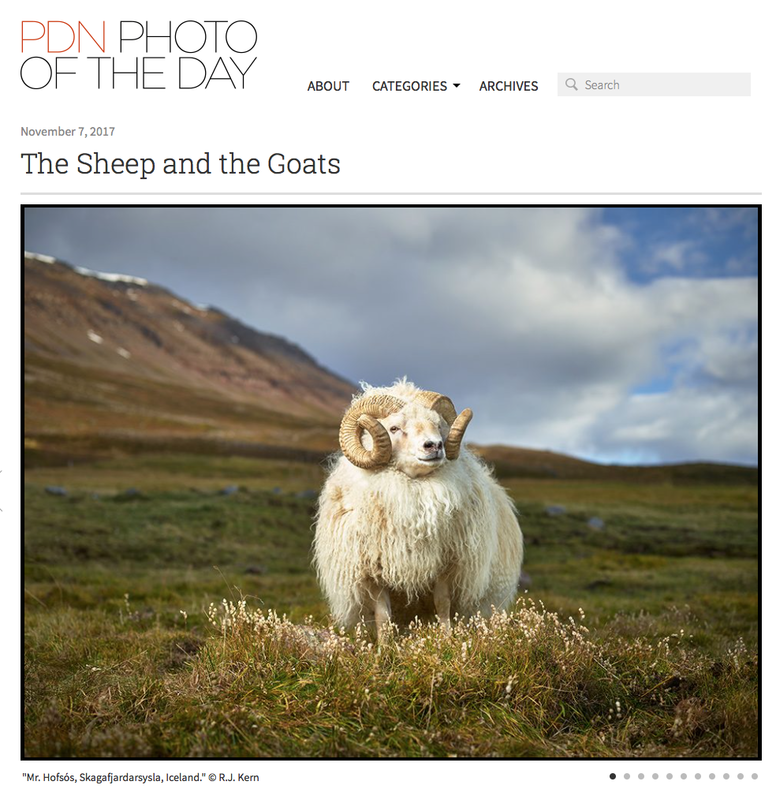 So the title is descriptive. It’s also ironic. Looking at what is clearly an emotional relationship between the creatures, one recognizes a different kind of choosing, of each other. Maybe accepting would be a better word. 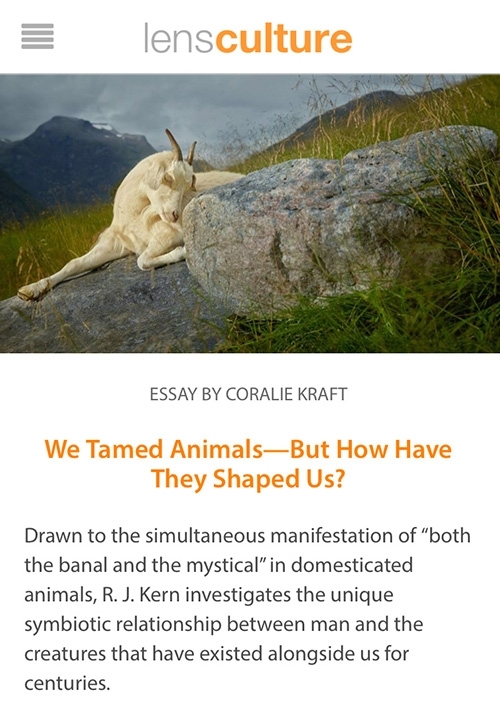 It’s telling that Kern’s captions usually give the animal’s name as well as the young person’s. There’s a mutuality here, maybe even a duality. This makes for a surpassing sweetness (not sentimentality) and seeming simplicity. Why seeming? There’s an unmistakable, if not clearly articulated, sense of fellow feeling. That fellow feeling finds an ideal counterpart in the combination of respect and curiosity that Kern brings to bear on it. The Winter issue of Culture features fine-art work from The Unchosen Ones and Out To Pasture series. Lots of goodies in this well-designed magazine devoted to cheese lovers. I’ve enjoyed exploring new ways to engage audiences with my subject matter. Writes Espeland: "The large, lovely portrait of a young woman and her goat may stop you in your tracks. 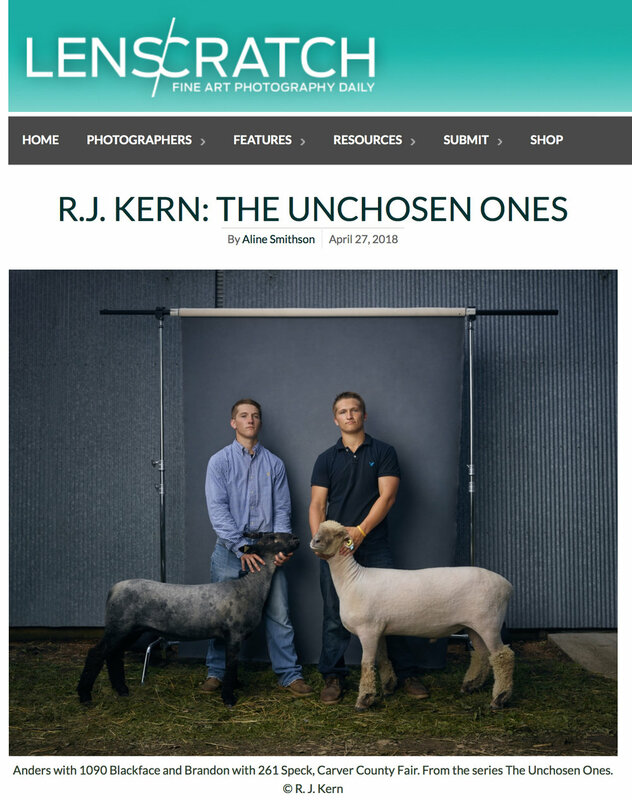 It’s an image from a series Kern calls “The Unchosen Ones.” Taken from the sidelines at 10 county fairs across Minnesota that lead up to the state fair, they show animals and their young handlers – but losers, not winners. These are not the pairs that will go on to glory at the big fair in the cities. 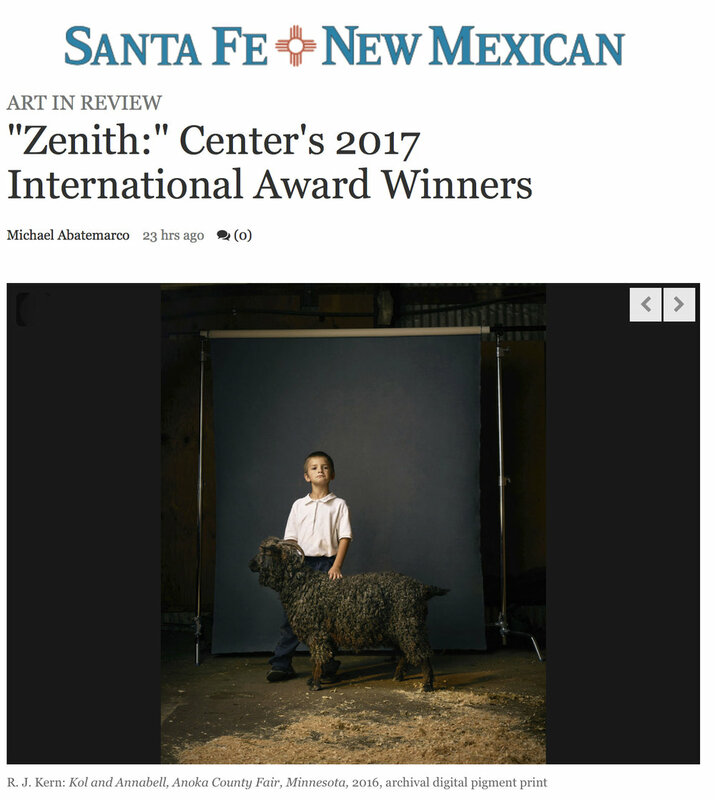 Photographed against a simple gray backdrop, the subjects – children and teenagers, sheep and goats – are lit like old masters. They are luminous and dignified. If this is what losing looks like, maybe it’s not so terrible after all." On newsstands now, the July/August 2018 of Communication Arts magazine features work from my series, "The Unchosen Ones." 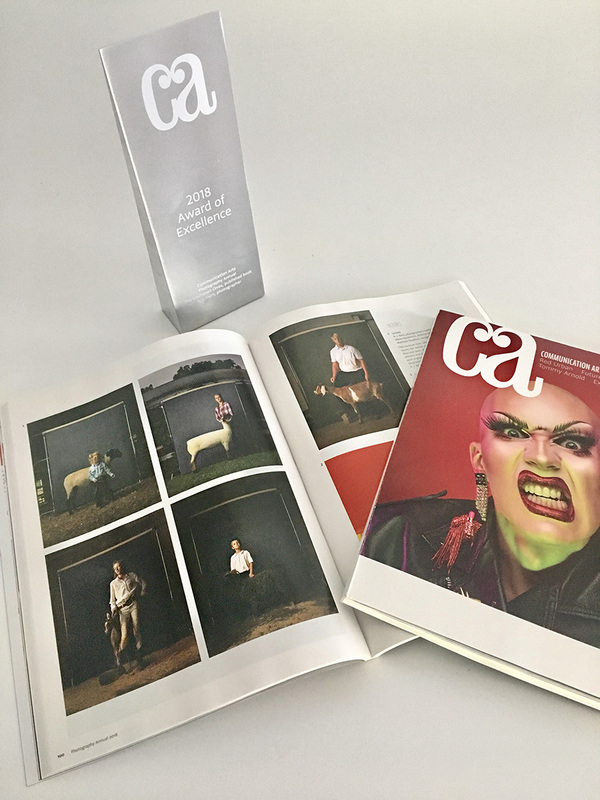 The Photography Annual 59 issue is dedicated to featuring images that received an Award of Excellence 2018. Five images that appeared in the self-published book, The Unchosen Ones, were published from the same project featured in National Geographic magazine (November 2017). I'm grateful and honored for the recognition! I've admired the magazine since my high school art classes! 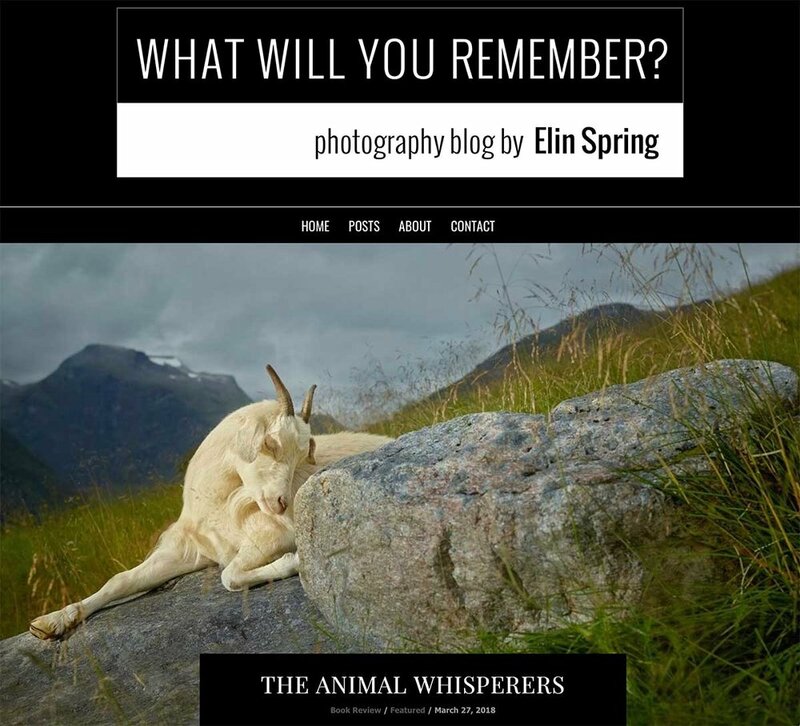 "Mr. Hofsós, Skagafjardarsysla, Iceland" along with nine other images from the project Divine Animals: The Bovidae promote my new book, "The Sheep and the Goats" by Kehrer Verlag. 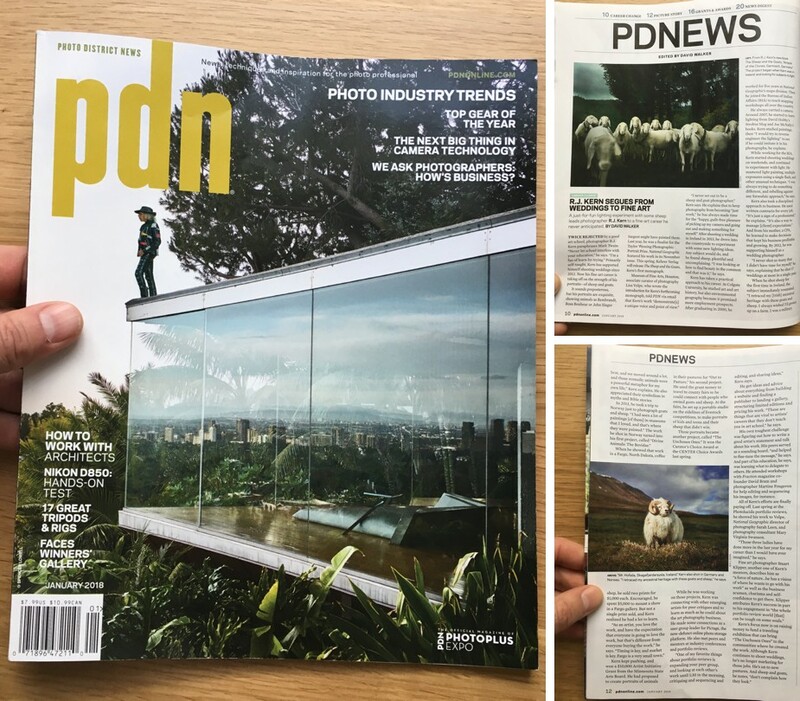 Thank you for the exposure, PDN! I received my Oct 2017 issue of the Royal Photographic Society Journal (Oct 2017) today featuring my work along with a embossed certificate and medal (a real silver medal!!!). 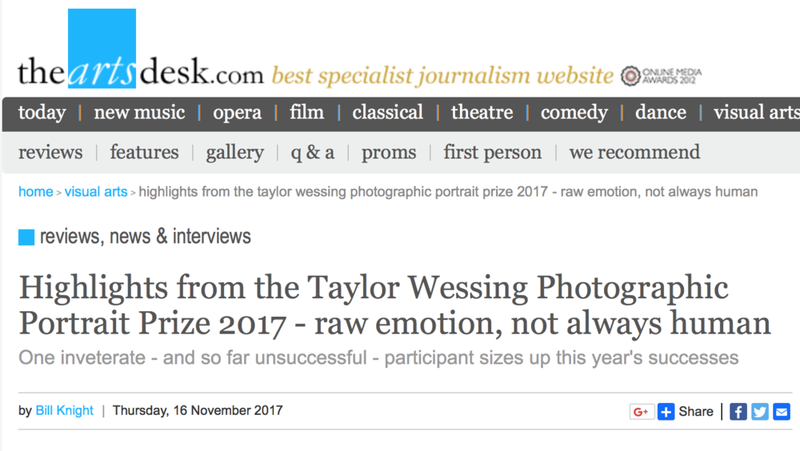 The RPS Journal has been published since 1853 and is the oldest continuously published photographic periodical in the world... such a rich tradition. Thank you jurors and the folks at RPS!